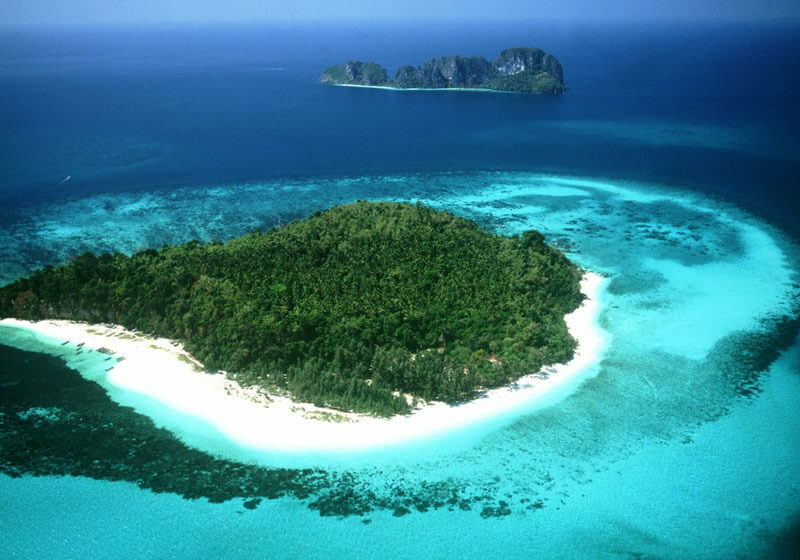 Bamboo Island (Koh Pai) near Phi Phi Island is just one of the many tourist destinations on Phi Phi Island. While all the islands and attractions around the area have something special to offer, Bamboo Island has something that is extra special to share with tourists. The area is uninhabited, and therefore has the most pristine, unspoiled beaches known to man. This makes Bamboo Island Phi Phi Island is one of the most relaxing spots in Thailand. Although the area is not too close to Phuket, Bamboo Island (Koh Pai) still follows the same weather patterns. The best season to travel is during the October-March months. This is when the weather is warm, but there is little rainfall. Generally, the climate is beautiful around these months. April through May, however, Bamboo Island can become extremely hot and humid. Temperatures average over 95 degrees Fahrenheit. Between the months of June and September, the temperature cools down to about 90 degrees Fahrenheit, but there is a large chance of rain each day. However, tourists can get great deals on hotel rooms when they travel during these months. Remember, just because there is an 80% chance of rain does not mean it will rain all day long.